I had a very important wine exam, the Wine and Spirit Education Trust (WSET) level 3 (Advanced), last week, which I have been madly studying for in any spare time. It was tough and big. I used every second of the 1 hour 45 minute exam time. I was well prepared but the fail rates are high so keep those fingers crossed. My sadness was that there were not many questions on France and a lot on Spain. The universe telling me to put my French and Italian wine passion to the side and drink more Spanish wine perhaps? Just in case, I made sure I ordered Spanish wine at the Wine Shop With No Wine Christmas Party. Here's a selfie. I caught up a fair bit of ground (in Spanish wine) by the looks of it. 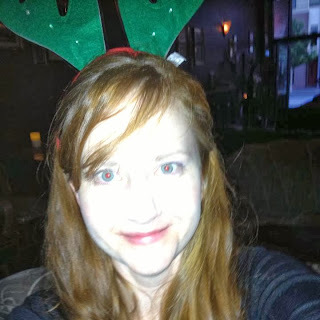 I also have a terrible habit of dressing up when I am drinking. I leave the house looking perfectly lovely and come home with horns on and bits of tinsel and table dressing stuck to my face. Just lucky I guess. Anyhow, due to the fact that the Government has picked me to pay for the next time our Prime Minister wants to attend somebody's wedding (read that as HUGE tax bill- not because I'm wealthy, just one of those multiple job scenarios) and also that I haven't been able to pick up extra work due to study, I have been very low on cashola of late. I 'discovered' these in a winery in Maleny (Sunshine Coast Hinterland) a few years ago. A locally made product, the cellar door had them available for palate cleansing between tastings. 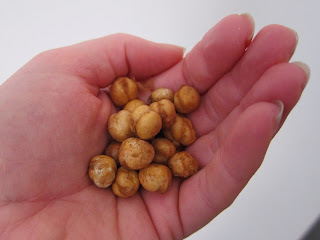 Roasted salted chickpeas (who doesn't love chickpeas? 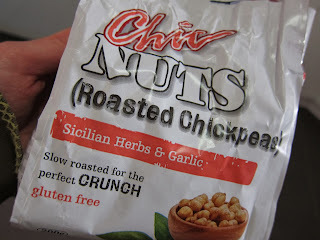 ), they are now available in Woolworths/Safeway stores and come in a couple of different flavours. They are absolutely delish, low in fat and apart from a bit of salt, very healthy. Also great for snack time in households that need to be nut-free. 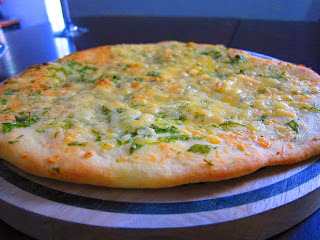 I have done my fair share of homemade pizza, often quite successfully. It is always more successful if you use quality flour and the yeast must be fresh. Unfortunately I end up needing to buy a new packet of yeast every time I decide to make bread/pizza because I have had it happen too many times that the yeast dies- dry yeast, in a sealed packet, I don't know how I do it but the dough fails to rise and catastrophe ensues. 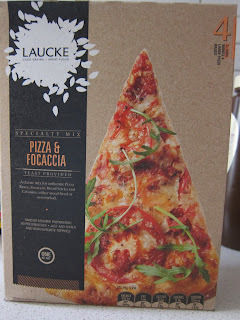 The Bookworm discovered this magical stuff (in Woolworths/Safeway) and it really does make homemade pizza a little bit more reliable and regularly achievable. 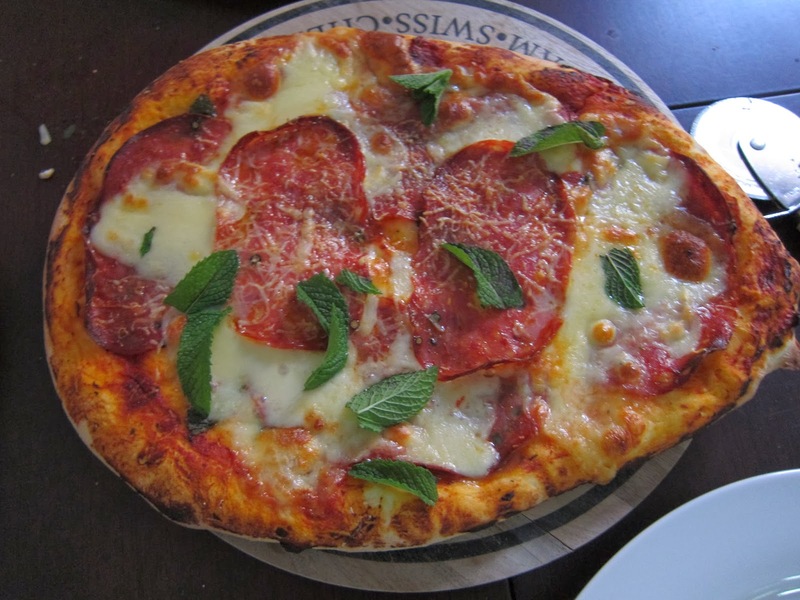 It has premixed flour, already containing the 'strong' flours that make a good pizza dough, you just add the yeast (included) and water; mix, knead and you are on your way to delicious homemade pizza goodness. If you haven't heard about this yet, you will kiss me. You chop up a banana and freeze it. 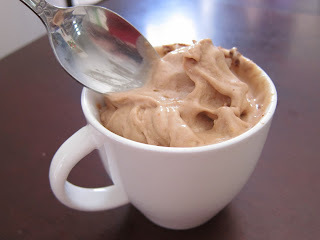 Then stick it in a food processor (or even a small electric chopper) and pulse away, adding a little milk and flavouring of your choice until it is the consistency of soft serve, then gobble it up. It does not taste like bananas anymore. This is magical Heston Blumenthal kind of alchemy. I have been adding this super healthy Mayver's Peanut Cacao Spread. 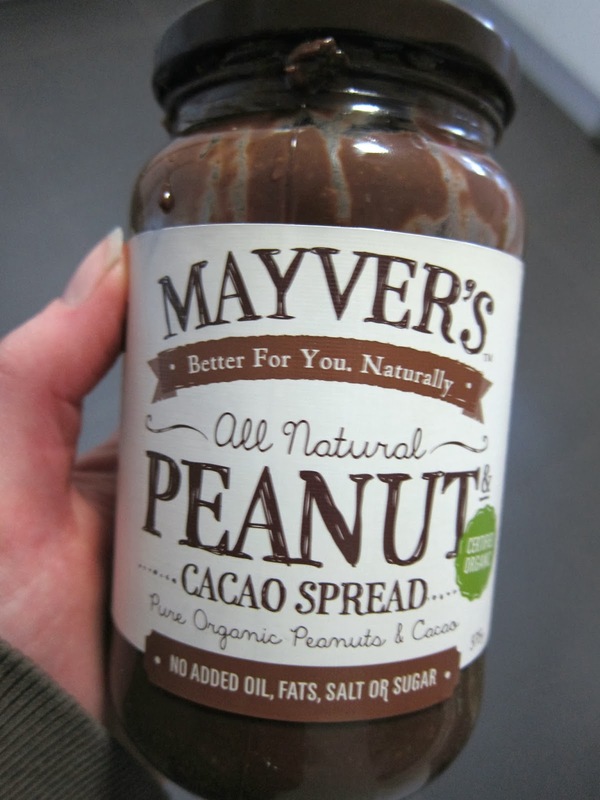 It has nothing but smushed peanuts and cacao (it's a super(hero)food). 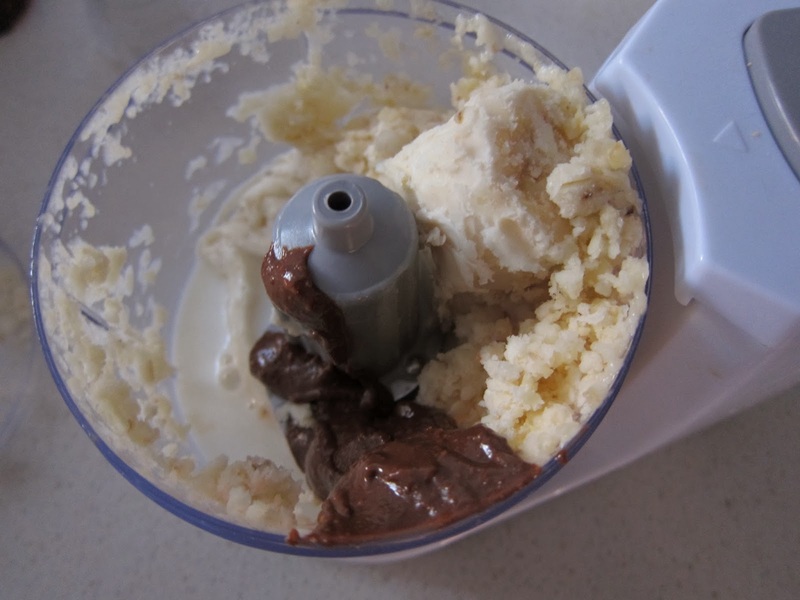 With the banana alchemy it makes a very delicious chocolate peanut butter icecream that is healthy.....until someone discovers that bananas cause cancer. 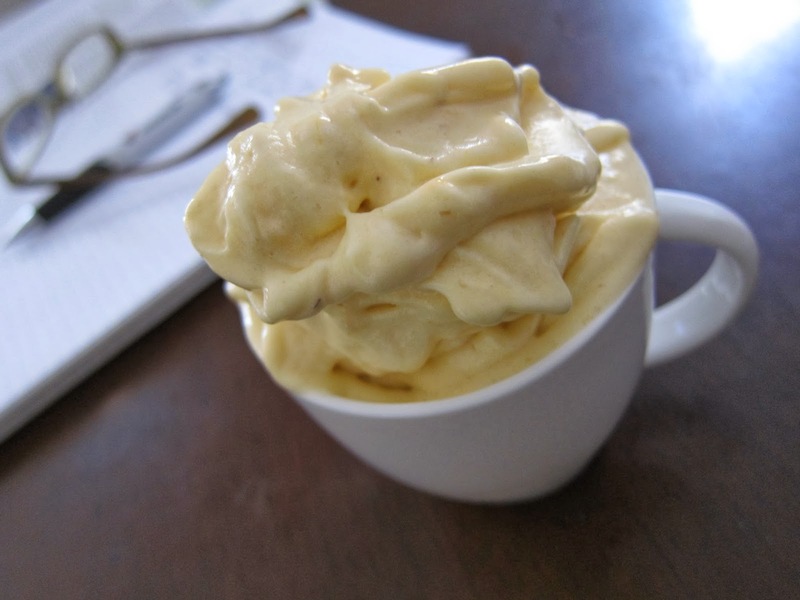 Here is a study-snack using mango with the frozen banana. Frozen raspberries are another super-tasty addition. I should add that bananas are very good for you but one a day is probably sufficient (you don't want to go overboard on potassium). Once you have tried this you will realise why I have put this warning here. 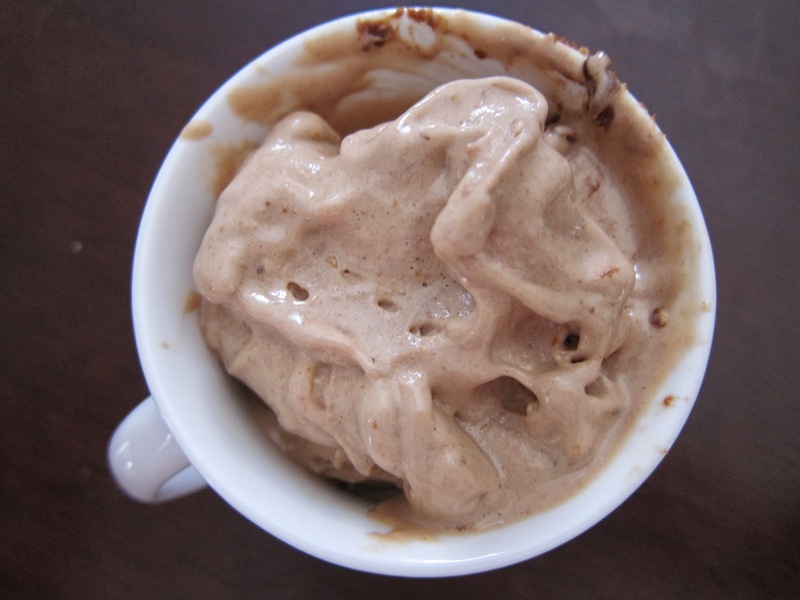 This 'ice cream' is so delicious you will want to eat it all the time!